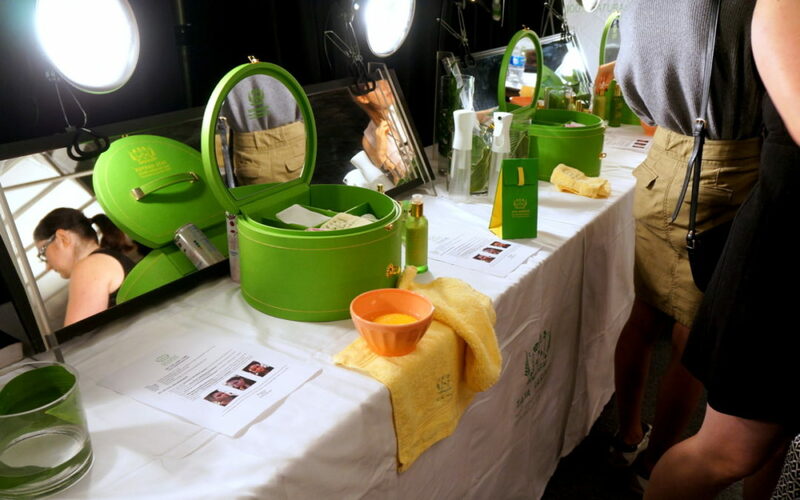 Backstage, models had the full-spa effect, with trunks full of towels, sponges, water dishes and aromatherapy. First, skin was cleansed with the Refreshing Cleanser, to make sure all excess oils and makeup were removed. Next, one spray of the Hydrating Floral Essence mist minimized the appearance of pores. To replenish skin and create radiance, Concentrated Brightening Serum was applied. For a matte finish, the Rebuilding Moisturizer was massaged into the skin in circular motions, moving outward. 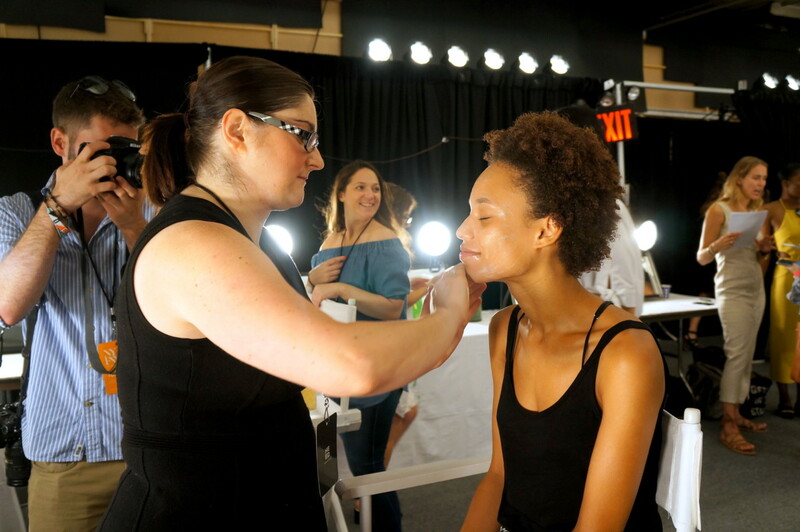 To de-puff tired fashion week eyes, using the ring finger, small dots of Restorative Eye Crème were smoothed in from the inner corner of the eye, moving outwards towards the brow. 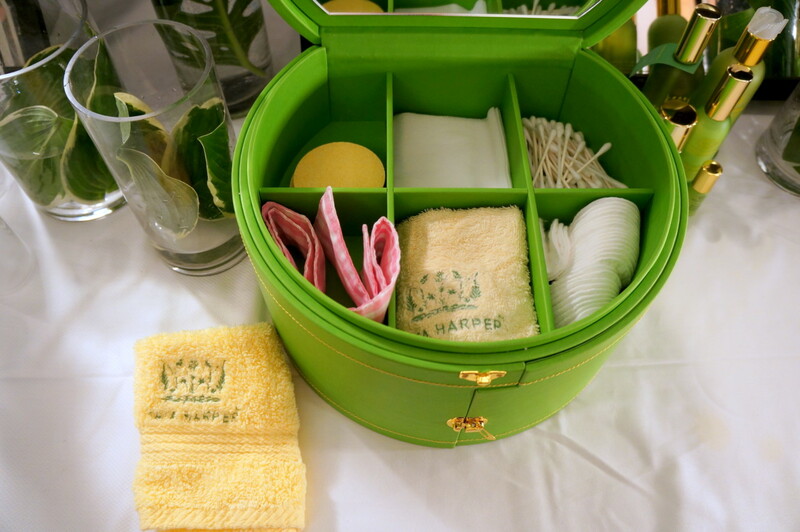 For an added spa experience, and the perfect way to create calm in the typically chaotic pre-show backstage environment, each Tata Harper skin expert spread a few rolls of the Aromatic Stress Treatment on their palms and held them over the models faces, who inhaled the relaxing mix of Jojoba, Nigra fruit extract, and Limonene before heading to makeup. Tribal-esque graphic strokes of white and light blue colored paint grace the left and right temples of each model with the help of a fan brush and the genius of MAC artistry. 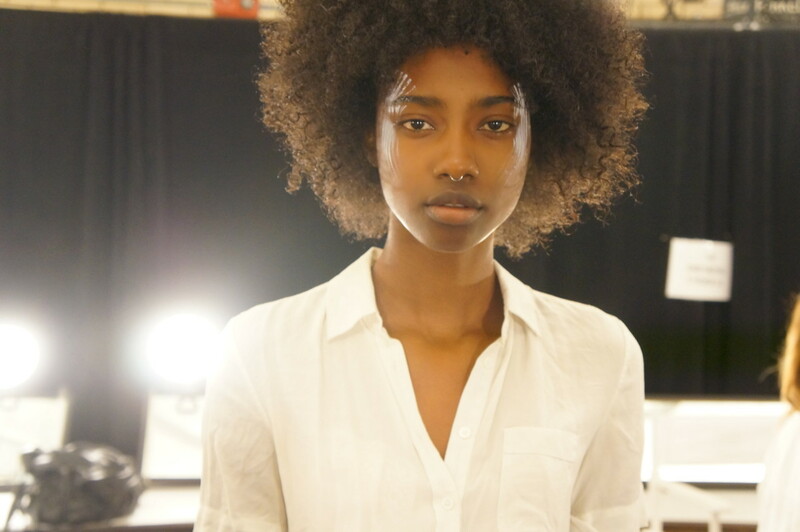 Lips were kept natural, and brows were kept full. It was all about minimal coverup, with beautiful, radiant, perfectly primed skin as the canvas! Note: This post is not sponsored. All thoughts are unbiased and my own. Lexi Dietrich NYFW coverage for Divalicious.NYC. All photos in this post are my own unless otherwise stated.